As HMD ready to make Mobile World Congress 2k18 awesome by launching upcoming Nokia smartphones on 25th February, two different types of variants of either Nokia 7 or Nokia 6 2k18 have passed certification at Federal Communications Commission. TA-1016 and TA-1045 are Single and Dual-SIM option of the same device; reveal the Federal Communications Commission certifications. The Nokia Smartphone has a 3000 mAH of power battery and thus can be either of Nokia 6 2k18 and Nokia 7. 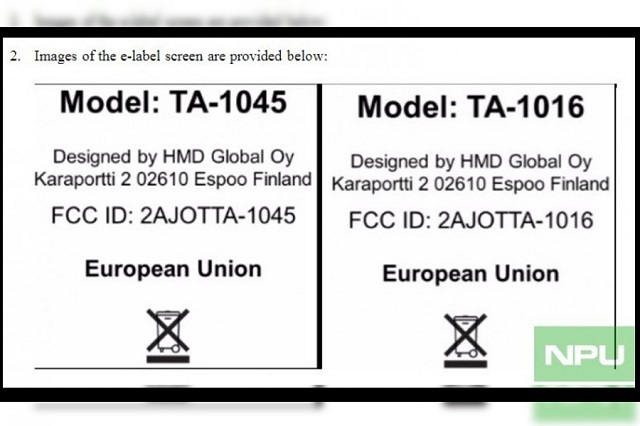 The FCC certification, however, doesn’t mention more information to find which one. What though looks clear is that these two types of variants may be US-bound as HMD has disabled whole non-US frequencies and country code selections. 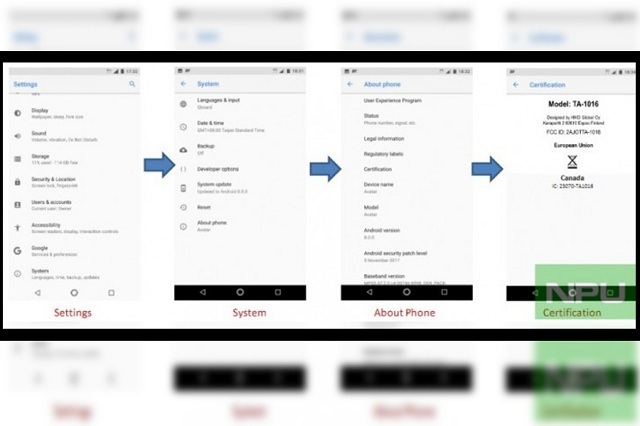 The Nokia smartphones prototype again have its own new looks codename as was seen in the case of Nokia 9 TA-1005 variant. One can also notification statement mention of Canada in the certification screenshot below. The further information’s that caught our eye is that it may be launched running Android Oreo 8.0 out of the box. Nokia 6 2k18 is powered by Snapdragon 630 processor and comes with 4GB RAM and many changes in design sector and it has wonderful camera specs like OZO Audio and Dual-Sight aka Bothie feature. It has 3000mAH Battery. Fingerprint sensor moves below to the rear camera. Nokia 7 is powered by Snapdragon 630 processor and packs a 5.2-inch, 1080p display. Nokia 7 packs a 16 MP Zeiss-branded camera at the back. It also brings top features from Nokia 8 OZO Audio and Bothie for a much lower price. Nokia 7 comes with 3D Glass body and 7000 series aluminum alloy frame. It will be available to buy in 4GB and 6GB RAM variants. It has Sensor ambient light sensor, proximity sensor, accelerometer, and electronic compass, and gyroscope, fingerprint sensor, Hall sensor, NFC.